Today: Gabriella thinks it's time you treat your pasta right. Pasta is, for the most part, a universally appealing food. (My apologies to those of you afflicted with gluten intolerance or carb-phobia.) It requires minimal effort to make: Boil some water, throw your pasta in the pot, take 10 minutes to down a glass of wine and mindlessly browse through Facebook vacation photos of someone you haven't spoken to since high school while it's cooking, drain. Toss with butter and cheese, and you've got a perfectly fine dinner that satisfies time and time again. But come on. Just because pasta's cheap doesn't mean it doesn't want to be treated like a lady. Read on for how to take that boxed staple (often running under $2.50) to a perfect, dressed-up dinnertime main. It means taking a little more care of how you cook it, learning which shapes and sauces go together, and adding the most appropriate vegetables. Because after all that pasta's given to you, isn't it worth it? 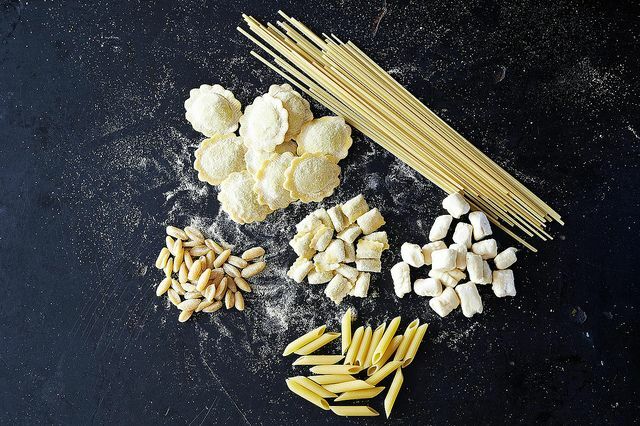 From angel hair to ziti, fusilli to farfalle, dried pasta varieties are seemingly endless. Take a look at this comprehensive guide from Maialino's Nick Anderer to get yourself up to speed with what shapes pair best with which sauces. Once, during my sophomore year of college, my roommate at the time poured water into a pot, added a box of pasta, and then turned on the stove. I looked at her like she had just killed our cat. 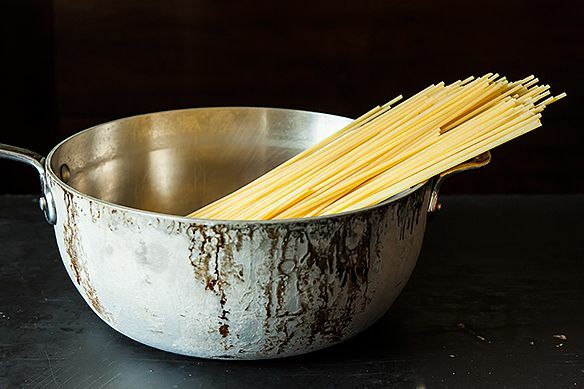 Despite being a pasta cooking purist (bring salty water to a rolling boil and cook until al dente only), it turns out there are other ways to get the job done. Like I said, there's nothing wrong with butter and cheese -- but it's important to have two basic, colorful sauces in your arsenal. 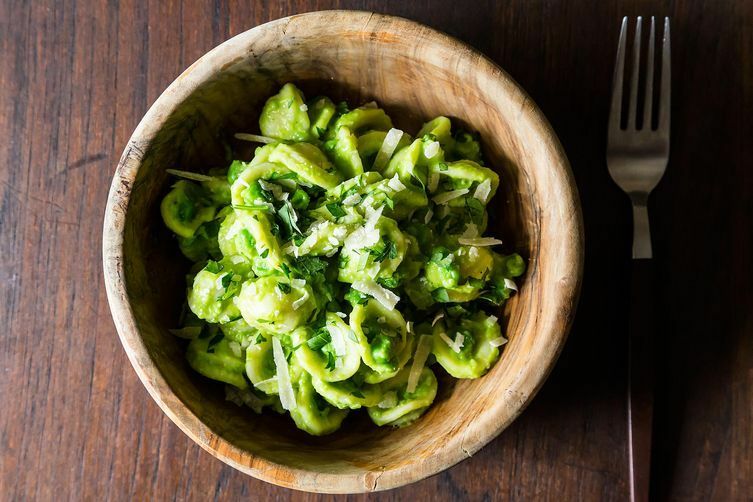 First, find your go-to affordable pesto recipe and perfect it. And for your red sauce, it never gets any easier, cheaper, or more delicious than Marcella's version. 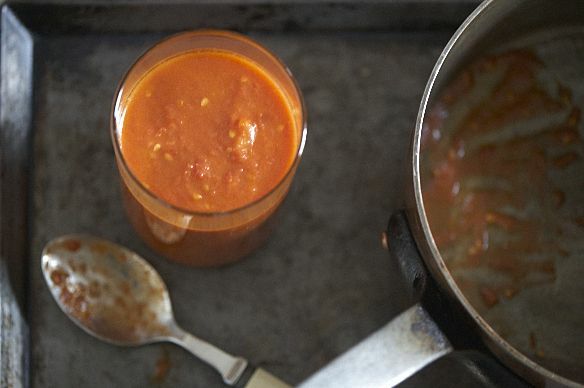 Once you've got those down pat, learn how to sauce your pasta correctly too. Vegetables and beans round out pasta for a complete meal. 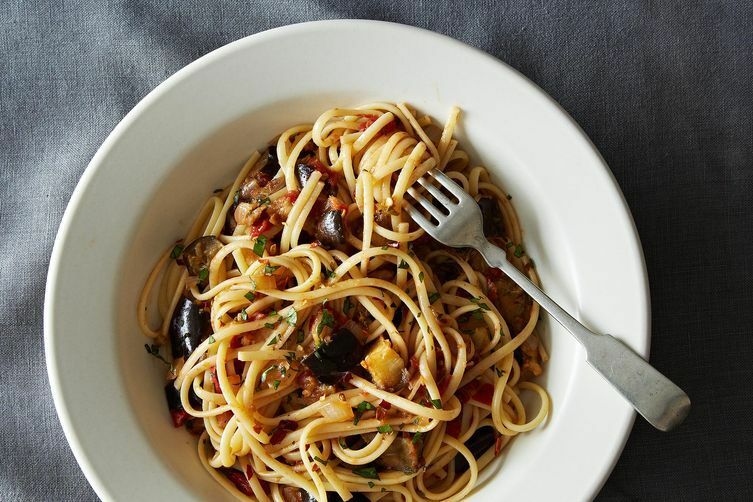 Some great weeknight options include Spicy Eggplant Pasta, Linguine with Breadcrumbs and Kale, Down and Dirty Pasta e Ceci, or Nigella Lawson's Linguine. Pasta is the ultimate Not Sad Desk Lunch -- here's how to spruce up your leftovers so they taste just as great the next day. 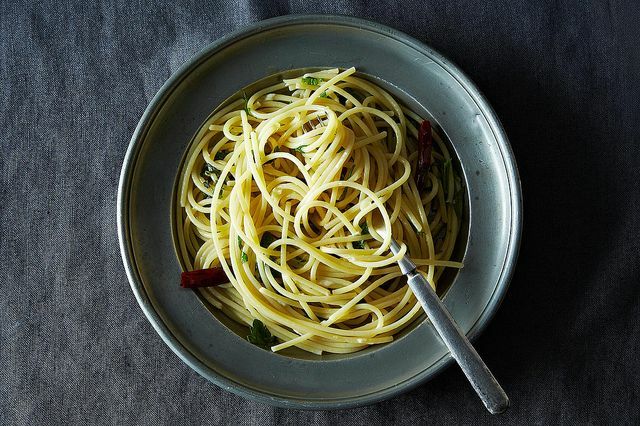 Tell us: What are you favorite cheap, go-to pasta recipes? Very nice article, Gabriella. Every Thursday is "pasta night" at our house and, I must say, that I personally am getting a little bored of it. Thank you for the inspiration!